You can use Group Policy to force certain settings. For example you can set unidentified networks to get the Private Profile by default. 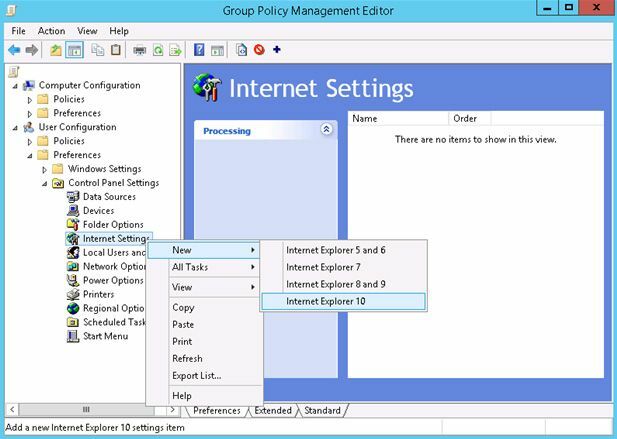 Open Group Policy Management Console on a computer with Windows 8/10/Server 2012/R2 and create new (or edit existing) GPO. Expand the following section: User Configuration -> Preferences -> Control Panel Settings -> Internet Settings . Right click and select New-> Internet Explorer 10 (this policy will also be applied for the IE 11 and above). 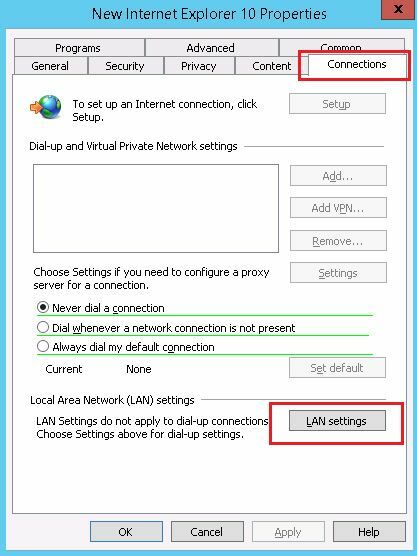 On the windows with the IE settings, go to the Connections tab and press LAN Settings button. 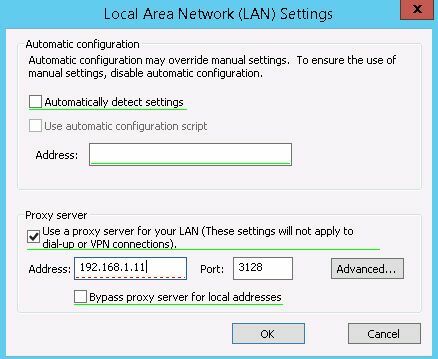 Tick the checkbox “Use a proxy server for your LAN” and specify the Address and Port of your proxy server (for example 192.168.1.11, port 3128). To enable this option, press F5 button (underline for that setting will change the color from red to green). To disable setting press F7. Press OK twice to save settings. Note. This rule only works for Internet Explorer 10 and Internet Explorer 11. For earlier versions you need to create separate rules. 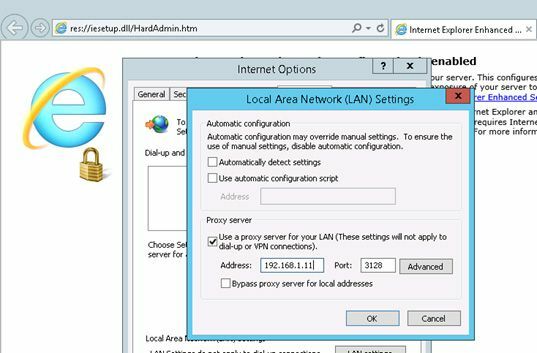 It remains to assign a GPO to desired Active Directory organization unit, update group policy setting on a client computers (gpupdate /force) and check proxy settings in IE. Tip. To configure new IE policy from Windows Server 2008/R2, you need to download Administrative Templates for Internet Explorer and copy files Inetres.admx and Inetres.adml to the folder %SYSTEMROOT%\PolicyDefinitions\. 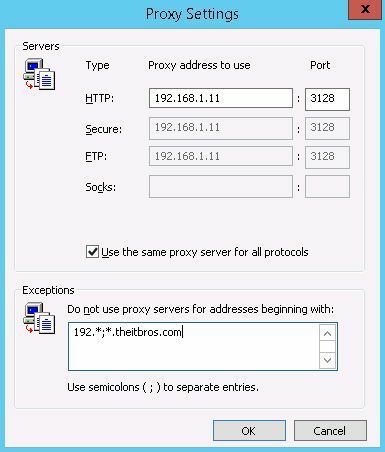 If you don’t want the user to change the Proxy setting, you can disable from changing the proxy setting.